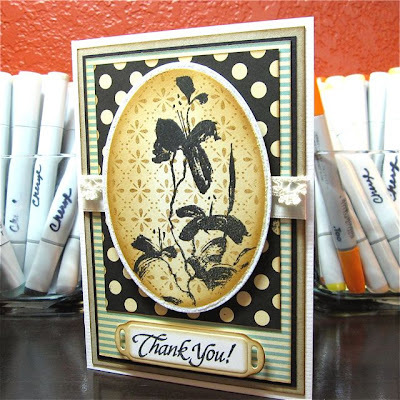 I am sharing with you today a simple "thank you" card I made at a friend's request. I whipped this card up early yesterday in about an hour and a half. That's an easy breezy card for the girl who usually takes at least 4 hours to make a card. The other oddity that you'll notice on this card...no Copic coloring! NO, say it isn't so! Ah, but it is. Okay, I'll stop having a pretend conversation with myself, but I will reiterate...no Copic markers were harmed in the making of this card. In fact, this card was so simple, I just may start using this method for all my quickie cards. A black silhouette against a lovely background image. Understated and perfect for an assortment of occasions. 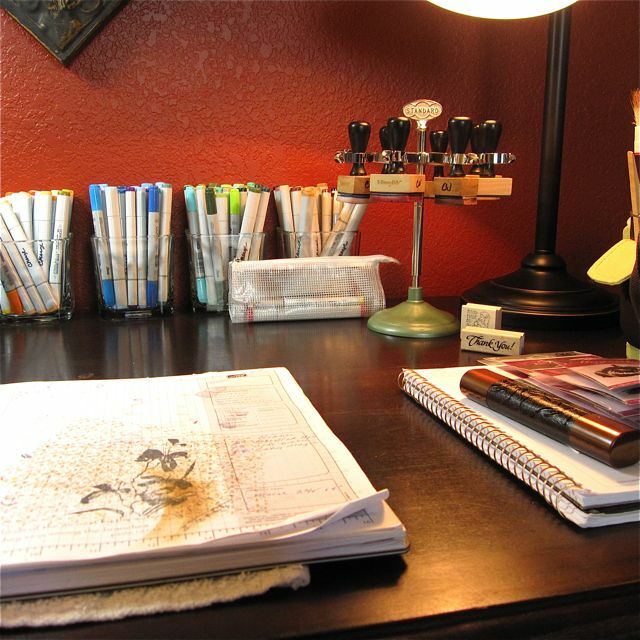 So wish my work area looked that elegant! We moved from 3500 sq. ft. to 1100 and I have no place for ANYTHING! But I do have 5 acres now. Love your card hon and I'm totally in awe of your organizaton. WOW!! Your card is just beautiful.. Love your work area..Very lovely place to do your creating..
Gorgeous card, Cheryl! 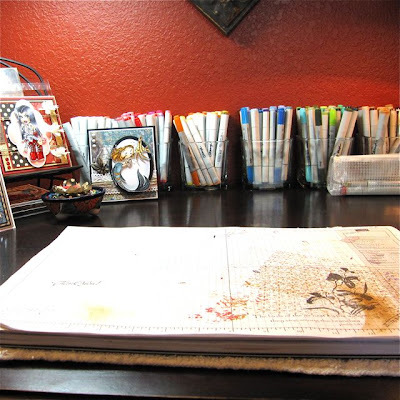 I need to try that with some of my PB or Hero Arts flower stamps! Simple and beautiful! This is a lovely card and I had to look back to make sure you weren't fibbing about not using copics, lol. I just posted pics of my uh, "workspace." I would invite you to take a look, but I'm afraid the Neat Freak in you might not be able to handle it! Beautiful card...and desk ! It's seems to be a "zen" place to create. Do you really keep your space that clean?! I'm jealous. Mine is a disaster area. Lovely card of course...but still jealous! 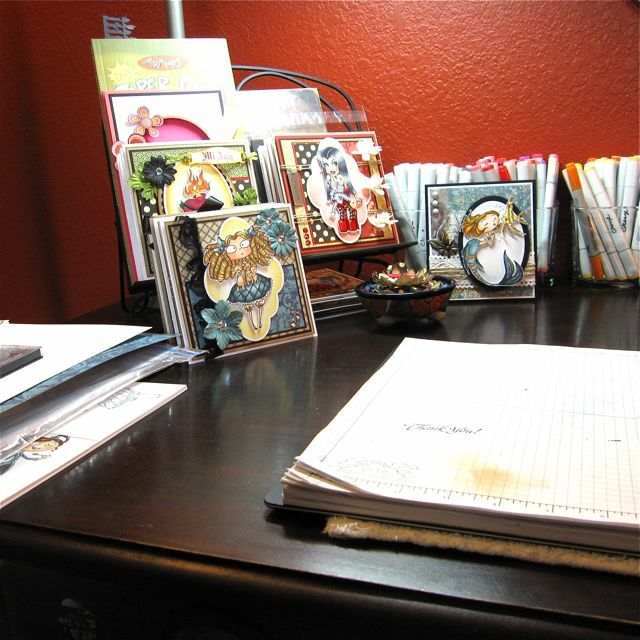 Beautiful card, even without the Copics ;) I am so impressed with your clean workspace though...wow! 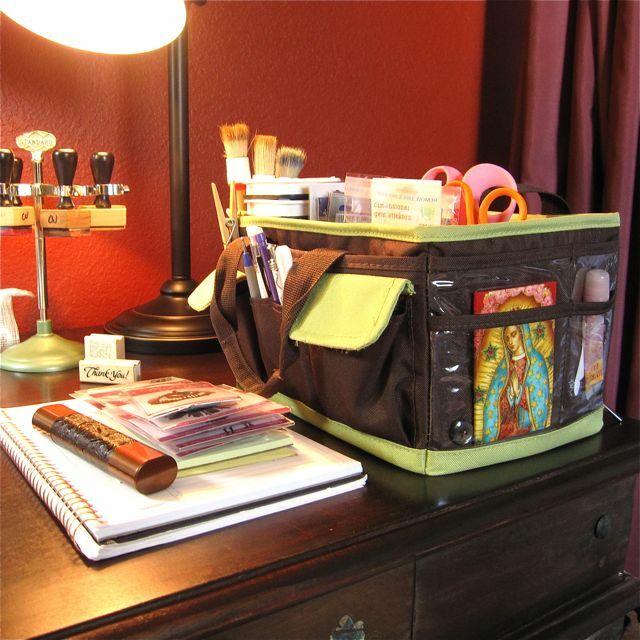 I don't think there's a 2-foot space in my craft room that is that clean! LOL! What an excellent quickie card. Must remember this for when I need to whip one up real quick. I love the look of the black image against the DP. 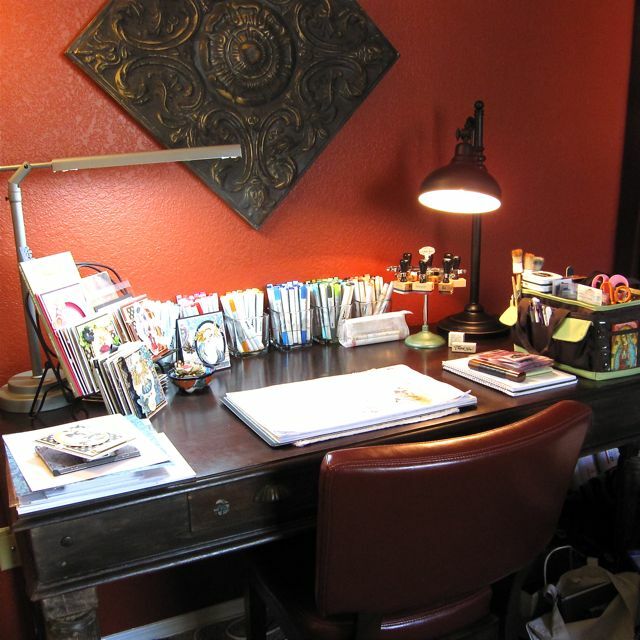 Thanks for the fab shots of your work space. Nice to see where all these masterpieces are created. I'm so jealous of that copic collection though! !